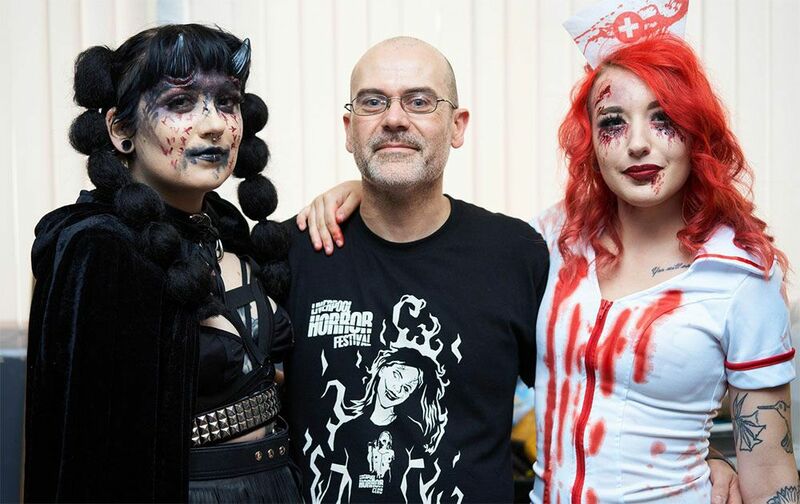 It's February, so that means it's Women in Horror Month and the fabulous folks over at Liverpool Horror Club are running an all-day celebration on 9th February of the huge contribution that women make to the genre. Featuring a daytime discussion panel, featuring one of our own staff writers Simret Cheema-Innis, followed by a screening of Mary Harron's American Psycho, this is sure to be an event that will both delight and stimulate discussion and debate among its attendees. 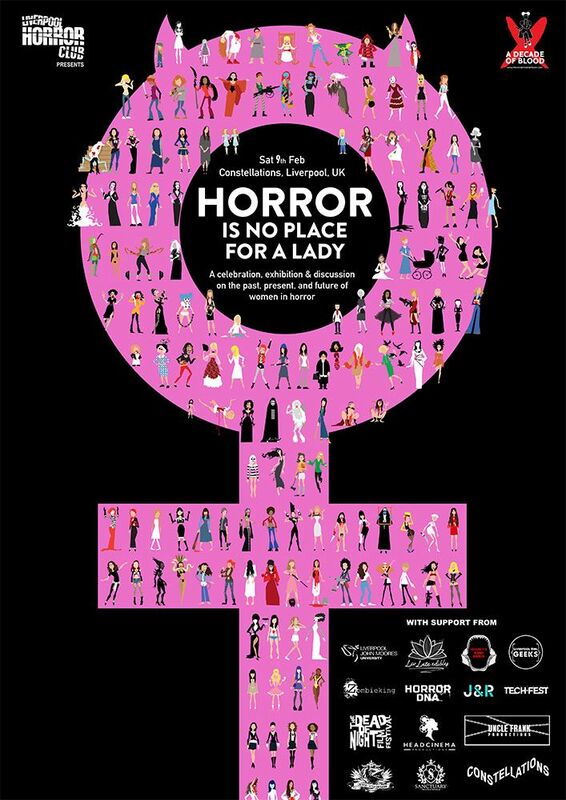 Women in Horror Month (WiHM) is an international, grassroots initiative, which encourages supporters to learn about and showcase the under-represented work of women in the horror industries. Whether they are on the screen, behind the scenes, or contributing in their other various artistic ways, it is clear that women love, appreciate, and contribute to the horror genre. And what about that poster art? 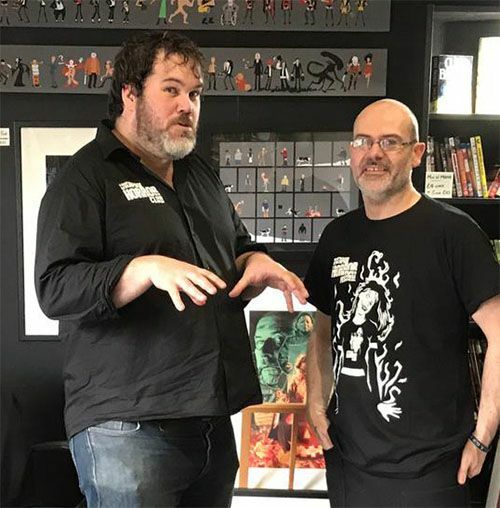 Since its initial creation The Liverpool Horror Club has boasted some of the most innovative, imaginative and eclectic posters to immortalise their events. Created by horror design agency Uncle Frank Productions, the Women in Horror event poster is by far the most ambitious, featuring 143 representations of women in horror dating back to 1922. The movie American Psycho is a great example of women working behind the camera and prior to its successful release the book’s author Bret Easton Ellis caused great controversy when during an interview with MovieLine stated that women couldn’t direct. Though Ellis resents making the comment back in 2010 his words still represents an attitude that may still be prevalent in Hollywood today. Attendees of the screening will receive their own 'unbloodied' copy of the poster below, which they can then customise in a specially prepared Splatter Zone. Simret Cheema-Innis: A London-based, world travelling filmmaker who graduated from Staffordshire University with a BA in Broadcast Journalism and Politics. She is an aficionado of horror and loves the supernatural and terror in film and fiction. 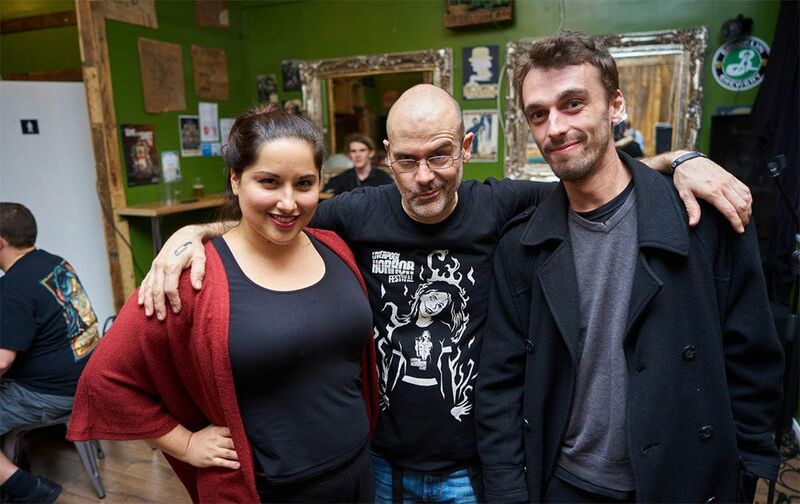 She’s performed/modelled for various alternative and horror events, films, music videos, and has interviewed many great horror authors, directors, as well has even written her own short stories. Amanda Follit: The Managing Director of tech company TH_NK Live, owner of rock and metal artist agency Possessive Management and one of the organisers for the award nominated summer music metal and prog festival, UK Tech-fest in Nottinghamshire. Through her music agency she has toured with horror and post-apocalyptic themed bands and has brought literature together with music for album release strategies. Amanda was brought up on horror from a shockingly young age with her parents reasoning that Grange Hill was too real but horror was ok because it was fantasy. Mariam M. Draeger: The head of the German based horror production company Headcinema Productions, in which she works as a film producer, creative director and music producer. 2017 the New Jersey born creative became the International Liaison for the Liveprool Horror Club. At this year’s “No Place For a Lady” event, she will be hosting the panel and diving into the deep discussions around the female role in the genre. For more information and to buy tickets, head over to https://liverpoolhorrorclub.co.uk/shop/. With tickets from £6.00 - £8.00 this is an event that's easy on the pocket.